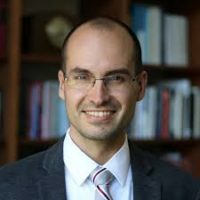 Michal Horný is a health services researcher and health economist at Emory University. His main research interests include health care spending, health disparities due to financial barriers to care, and the assessment of the value of care with a particular focus on screening and diagnostic imaging. He received his doctorate in Health Services Research in 2017 from Boston University School of Public Health. 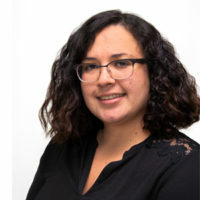 Darwyyn Deyo is an Assistant Professor of Economics at San Jose State University. She earned a Doctorate in Economics and a Masters in Economics from George Mason University. 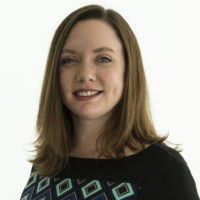 She previously worked as a Research Fellow with the Harvey L. Neiman Health Policy Institute and was an affiliate scholar with the Center for Micro-Economic Policy Research at George Mason University. 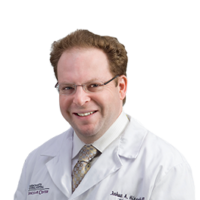 Joshua Hirsch, MD, is director of Interventional Neuroradiology, chief of the Interventional Spine Service, vice chair of Interventional Radiology Quality & Safety and associate Departmental Quality Chair at Massachusetts General Hospital. He has extensive experience in diagnosis, management and treatment of cerebrovascular disease, minimally invasive spine surgery and acute stroke treatment. Richard Duszak, MD, is Professor and Vice Chair for Health Policy and Practice in the Department of Radiology and Imaging Sciences at Emory University. Currently Council Vice-Speaker and a member of the Executive Committee of the Board of Chancellors of the American College of Radiology, Dr. Duszak is an outspoken supporter of evidence-based policy and longtime leader in physician payment policy development. 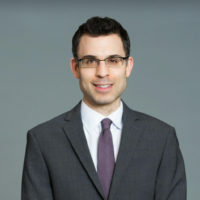 Andrew Rosenkrantz, MD, is Professor of Radiology and Urology at NYU Langone Health, where he serves as Section Chief of Abdominal Imaging, and as the department's Director of Health Policy. His research with the Institute has focused on characterizing practice patterns of the national radiologist work force and exploring drivers of variation in imaging utilization. He serves on the editorial boards for multiple radiology journals, and was recognized by AuntMinnie as the Most Influential Radiology Researcher in 2018. Bibb Allen, MD, is the DSI Chief Medical Officer at the American College of Radiology Data Science Institute™ (ACR DSI ). Dr Allen, Jr., MD, is a diagnostic radiologist in the Birmingham Radiological Group, former vice-chair of the ACR Board of Chancellors, former chair of the ACR Commission on Economics and former ACR representative to the AMA/Specialty Society RVS Update Committee (the RUC). Kimberly Applegate, MD, is a leader in radiology and a pediatric radiologist—she is an American College of Radiology past Speaker of the Council and member of the Board of Chancellors, past President of the Association for University Radiologists (AUR) and of its Research and Education Foundation, the American Association for Women in Radiology (AAWR), and the Radiology Alliance for Health Services Research. 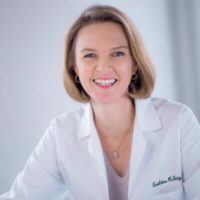 She is a founding member of the Image Gently Campaign to improve care of children worldwide, and now serves on the Main Commission of the International Council of Radiation Protection. Robert M. Barr, MD, is a neuroradiologist, President-Elect of the American Society of Neuroradiology (ASNR), and Vice Chair of the Novant Health Board of Trustees. He is past-president of Mecklenburg Radiology Associates, former ASNR advisor to the AMA/Specialty Society RVS Update Committee, and former chair of the ASNR Health Policy Committee. He currently serves as Secretary-Treasurer of the American Board of Radiology. Geraldine McGinty, MD, is an internationally recognized expert in imaging economics. 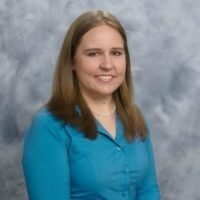 She has served as an advisor to the CPT Editorial Panel, the JCAHO and the National Quality Forum. She was Chair of the American College of Radiology's Commission on Economics and was the radiology member of the AMA’s Relative Value Update Committee from 2012-2016. In May 2018 she was elected as the Chair of the ACR's Board of Chancellors, the first woman to hold this office. Lawrence R. Muroff, MD, is immediate past CEO & President of Imaging Consultants, Inc., providers of consulting services to radiologists, hospitals, and corporations. Dr. Muroff is a Clinical Professor of Radiology at both the University of Florida and the University of South Florida Colleges of Medicine, and he is President Emeritus of Educational Symposia, Inc. Dr. Muroff served as the Director of MR, CT and Nuclear Medicine at University Community Hospital, Tampa, Florida from 1974 to 1994. He has presented over 1100 invited lectures nationally and internationally. James V. Rawson, MD, serves as Vice-chair of the Operations and Special Projects in the Department of Radiology at Beth Israel Deaconess Medical Center. He served a four year term as a member of the CMS APC Advisory Panel where he chaired the CMS Sub-committee on Packaging. His primary research interest is health policy, process improvement and innovation. He chairs the Commission on Patient- and Family-Centered Care and serves as Secretary-Treasurer of the American College of Radiology. Ezequiel Silva III, MD, is a diagnostic and interventional radiologist in San Antonio, TX. He has practiced for 17 years with the South Texas Radiology Group, and serves as the Director of Radiology at both Texsan Methodist Hospital and the Methodist Ambulatory and Surgical Hospital. He is also an Adjunct Professor at UT-Health, San Antonio. 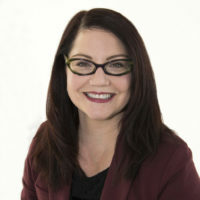 Dr. Silva is the Chair of the American College of Radiology (ACR) Commission on Economics and represents the ACR on the AMA Specialty Society RVS Update Committee (RUC) and the AMA Practice Expense Subcommittee. 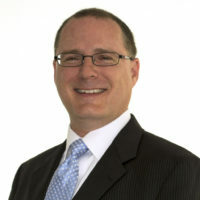 He is Co-Chair of the AMA Digital Medicine Payment Advisory Group and Co-Chair of the CMS Acumen MACRA Episode-Based Cost Measures Clinical Subcommittee. James H Thrall, MD, received his M.D. Degree from the University of Michigan in 1968 and trained in Radiology and Nuclear Medicine at the Walter Reed Army Medical Center. Dr. Thrall returned to the University of Michigan in 1975 and was promoted to Professor in 1981. He served as Chairman of the Department of Radiology, Massachusetts General Hospital Chairman from 1988 until 2013 while holding the Juan M Taveras Professorship of Radiology at Harvard Medical School.